3V2c Sector Array Transducer 3-2 MHz. For transthoracic adult cardiac stress echo contrast agent studies adult and pediatric transcranial vascular and transorbital vascular applications. For Cypress. 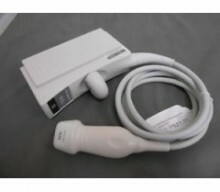 Click the button below to add the Acuson 3V2C Cardiac Transducer to your wish list.